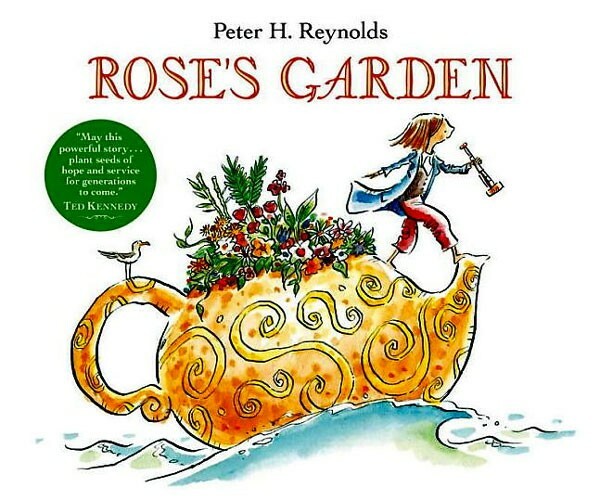 After traveling the world in her fantastic teapot, Rose is ready to put down roots. She sets about planting flower seeds in a neglected corner of a bustling city. And then she waits -- through rain, and cold, and snow. Rose waits, never doubting that the garden she envisions will one day come to be. With a simple narration and lovely, fanciful illustrations, this luminous picture book resonates with readers of all ages. 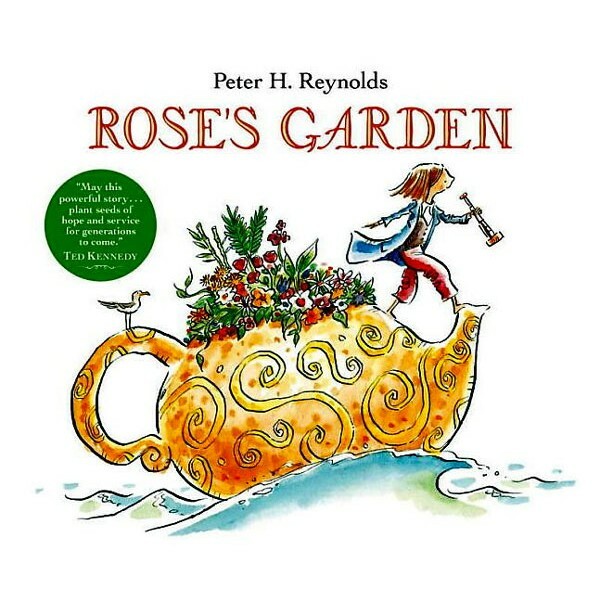 Author-illustrator Peter H. Reynolds dedicates it to the matriarch of the Kennedy family -- herself the namesake of the Rose Fitzgerald Kennedy Greenway, a series of gardens, plazas, and tree-lined promenades.